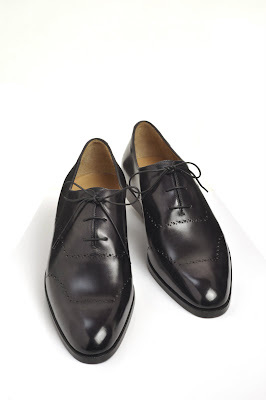 Every few of years Berluti comes out with a new line. In 2004, Olga III; in 2006, Demesures; this year it’s Pierre. I have to say it’s a lot more appealing to my tastes than some previous offerings. A very slim, classic line, it was inspired by models made for Yves Saint Laurent. 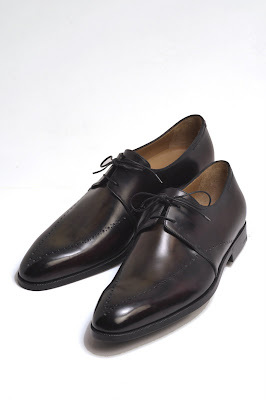 It will be in Berluti branches from September. Being Beluti, there’s a poem about it. “You adjust them, you shape them/They are the words, you are the book/They are the skin, you are the body/They are the style, you are the substance…” You get the idea. It’s a good excuse for great pics. You can follow the discussion on New Berluti line: Pierre by entering your email address in the box below. You will then receive an email every time a new comment is added. These will also contain a link to a page where you can stop the alerts, and remove all of your related data from the site.